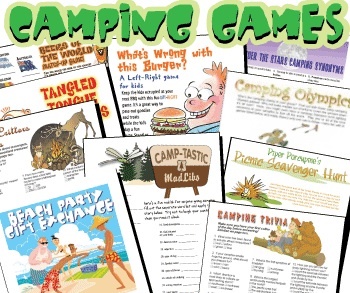 Here's a great assortment of inexpensive and fun printable summer party games for picnic, barbeque, luau parties, camping adventures and arrrrgh, even a pirate party game set. 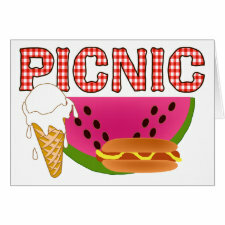 Picnic Games, BBQ Games and Camping Games! Games for adults and kids of all ages, including Party Games for Grownups! 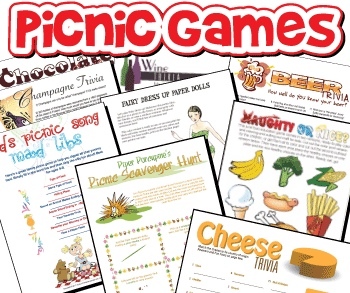 This collection of printable picnic games by Print Games Now is just right for children's summer picnic parties. There's no special software to download and you can buy one game, several or the entire PDF kit and print your picnic games forever, as many as you want - no limits or subscriptions. 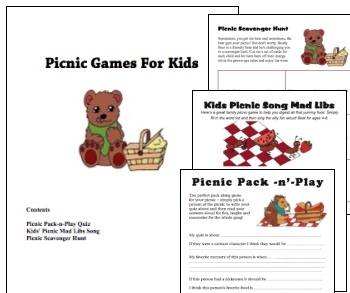 Here's a set of printable inexpensive picnic games designed for older kids, teens and adults to play. Choose from food games, beer and wine games, and hilarious pirate and trivia games. Planning a Hawaiian style luau party? 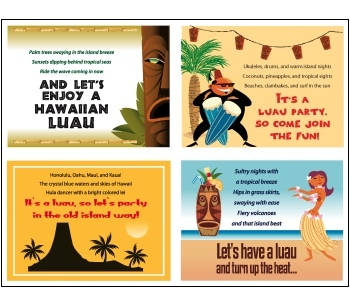 Add some fun with a set of luau party games by Python - printable games for all ages, with a tropical theme. Plus, get the bonusLuau Party Pack - sold by Print Games Now! Going Camping? Bring along printed games to entertain the group if it rains for a day or so, or when flashlight tag gets old. This pack of 16 printables is loaded with fun for all the family! Buy once, print as many as you want forever. 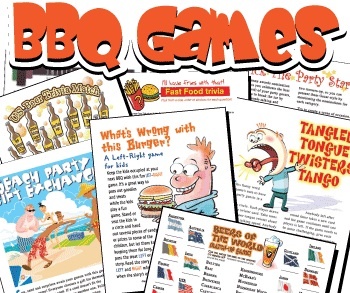 Get a big collection of printable games with a backyard BBQ theme - sure to entertain all the guests as your next cookout or summer party. If it rains, or you have older guests, no problem! Everyone will have a blast with these printable BBQ games that don't mind the weather and don't require athletic skill. Party Favors! 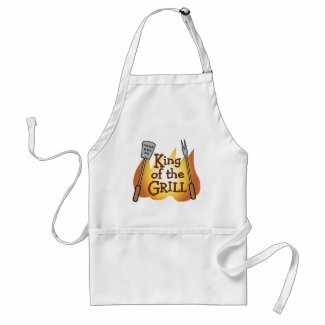 Create Custom Badge Buttons online at Zazzle.com - Design your own keepsake cake picks. 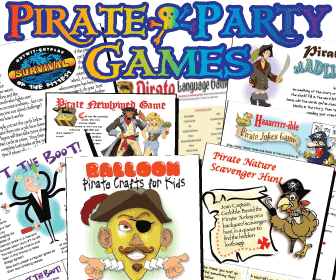 Put a Pirate Theme on your summer party, whether it's a picnic or BBQ, with printable Pirate games by Print Games Now.